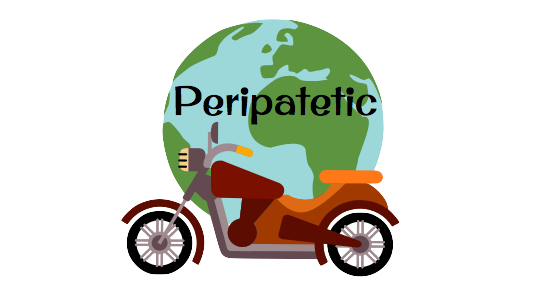 Radiopetti – Adventurous Listening – Biking. Adventure. Nostalgia. Couple of weeks back, I watched a Tamil movie on Netflix, Radiopetti – ரேடியோபெட்டி -(Radio Box), by Hari Viswanath. The movie is about an old man and his Radio. Anyone who has ever listened to old Radio would feel a personal connect with the movie and I recommend watching it. It has rave reviews and has won international awards. The movie made me think about our relationship with Radio and more importantly our adventurous listening experience. On the 25th Anniversary of Indian Independence (1972), I won a Prize in an Elocution Competition. It was a book in Tamil called ‘Ulaga Periyargal’ – உலகப் பெரியார்கள் (Great People of the World). It had short essays on leaders like Gandhi, Garibaldi, Napoleon, Nelson, Jone of Arc and Marconi. The essay on Marconi started with a comment that Radio was perhaps the greatest invention ever made. I was a kid, growing up in a village and did not understand why was it called the greatest invention but over the years I understood that Radio revolutionized communication. This book also kindled my passion to read books. In 1973 we moved to Mahabalipuram (the World Heritage Town) and we got our hands on our own Radio. My father had a Philips Radio (B1X67U) and it looked like this. The other thing I remember is you need a license to keep the Radio. It was 15 Rupees per year and it was paid at the nearest Post Office. I think the license for Radios and Televisions were abolished only in the early eighties. In 1974 we moved to Madras (Chennai) and our serious listening began. The Cricket bug caught us and we listened to 1974-75 tour of West Indies. After losing the first two tests India won the 3rd and 4th Tests and Viswanath played two sublime innings in Kolkata and Chennai. We came to know about his cover drives and used to discuss this for hours after the shot is played. I have written a separate blog on the Chennai Match. https://wordpress.com/post/kaveripak.wordpress.com/76. We listened to some of the best moments of Test Cricket. We followed how the West Indies were walloped by Australia in 1975-76 tour (5-1). But as West Indies fans, we remembered the only Test West Indies won. I think it was in Perth and Fredericks scored a century at a blistering pace. And then the India Tour of West Indies 1976. We chased the highest 4th innings score, 406-4. The record stood for many years and probably the only instance where Gavaskar and Viswanath both scored centuries in the same innings. And it continued. From Surinder Amarnath’s debut century in Auckland to Sandeep Patil’s swashbuckling 174 at Adelaide after being hit in the head by a Len Pascoe bouncer. Gavaskar’s 221 at Oval in 1979 which would have become the greatest 4th Innings in the history of Cricket had we won the match (we lost the match due to inept captaincy of Venkataraghavan and some questionable umpiring decisions). And the exploits of one of the greatest cricketer India has produced – Kapil Dev. His magical innings in England, a 55 ball 89 at Lords (narrowly missing fastest test century by Fredericks at that time) and 90 odd at Oval. Yes. All the fondest memories of Indian Cricket were brought to you by the humble radio. But sorry I digressed. The story is not about cricket but our adventurous listening. The Radio we had was already 12 years old when we landed our hands on it. It did not have a wooden cabinet but a Bakelite one. It was abused by transporters who moved our household goods every time my father got transferred. This was much before the advent of Packers and Movers who took care of packing your precious things. My father’s civil engineering company moved the household goods along with earth movers and piling rigs and dumped them into the new town where he was transferred. For a number of reasons, the Radio would stop playing. If the Band Switch became loose (Fig-1), we could not change from Medium Wave to Short Wave. We used to tighten the screw and voila it would crack to life again. A bad circuit coupled with poor insulation would let the electricity flow to all parts of the Radio and more often than not, it would bite you. As kids we would both get the shock together, sometimes joined by the youngest brother who would poke his head out of curiosity and touch us, resulting in a free for all electric shock. The second thing which would go wrong was the valves (Fig 5 & 6) getting dislocated. You need to gently push it back to the position and the radio had about 5 valves and when you set one alright the other would shift resulting in endless frustration. If the fingers wander a bit, you would invariably touch something in metal and end up with a big yell, taking all the 220 volts in your hands. You would wonder why could we have not switched off the Radio and make these adjustments. The problem was you never know which was the right position and only by trial and error you could get it right and for that to happen the Radio needed to be plugged in. The same used to be the case with capacitor. You have to keep adjusting it to the right position. The tuning dial (Fig 3 & 4) which helps you to get to the desired station would become loose or come out of the groove. Though this could be adjusted after switching off the Radio, we would forget the 101 of repair and realize the mistake after getting a shock. The electric shocks were of different kinds. Sometimes you would feel a small vibration in hands and you would be able to remove them without much damage. Other times the shock would be more severe and you would feel a severe jolt, remove your hands and keep wringing it. A number of times we had more severe shocks and we would scream. We would end up crying and felt like puking. Remember I was only 12 and JK was 10 when we started these repair works. Of course by God’s grace we did not end up in hospitals. The last great listening from this Radio was Kapil Dev’s 5 for in Melbourne test (1981), where after taking some Painkillers he came on to bowl on the final day to win the Test Match. There were other memorable listening as well. How can anyone forget Ameen Sayani and Binaca Geetmala? Tamil Songs on Radio Ceylon was quite popular as well and Surangani was everyone’s favourite. This adventurous and active listening came to an end with the advent of Transistor Radios which flooded the market in the late seventies. One fine day JK came to our mom and told her that our Radio needed to be replaced with a transistor. He convinced her that unlike Radio, the Transistor did not require electric power and it could be carried around. Never one to say no, our mom agreed and off we went with our Radio and exchanged it for a Soap Box size pocket radio. The shop-owner gave us 55 Rupees for the Radio and we paid extra 20 Rupees for the transistor which did not last even for a year. What could have become a family heirloom was exchanged for a pittance. Unlike old man in the Radiopetti movie, our father never mentioned this to us. The Transistor we bought exchanging a vintage radio. I listened to Kapil’s 175 against Zimbabwe in 1983 world cup in my sister’s Philips Radio. And the last radio commentary I remember is Sachin’s maiden century. I listened to this in Balasore, a small coastal town in Orissa. The advent of 24 X 7 TV killed the interest in Radio commentary and with that our association with the Magical Radio. Radio has been a great companion to people from all walks of life. From homemakers to traveling salesmen to travelers and adventurers. Eric Newby, the prolific travel writer mentions in ‘A short walk in Hindu Kush’ that he was listening to his radio a programme in Gujarati language and considered it the sweetest of oriental languages. Now imagine you are walking through some of highest man made roads in the world through Himalayas and your only company is a little Radio. Hari Viswanth, the director of the movie Radiopetti, says some Koreans who watched the film broke down after the movie and recollected their association with Radios. For us the memories are bit deeper with those adventures. Slowly we graduated to a B & W Television and our adventure continued though it was more of ‘Uncle Podger Hangs a Picture’ kind of adventure. More on that later. Whenever we used to talk about Radio, we always wondered what would have happened to those serious listeners who called in for Listener’s choice? Pattukottai Surendran or Vimco Nagar Swaminathan or for that matter Thiruvotriyur Mangalakarasi? What would be they doing now? After reading the blog, my mom called me to tell me how dad bought the Radio on a whiff. His old Radio was in disrepair and one day he peeped into a neighbour’s house to listen to some news. The neighbour showed face and off went my dad to buy a new Radio. She also mentioned that I should have given a link to All India Radio Signature Tune. Click on the following link AIR Signature Tune. She deserves a blog for Tech Savviness. I remember listening to a broadcast one early morning, Raj Singh Dungapur quoting from a Robert Frost Poem, Miles to go before I sleep from Stopping by Woods on a Snowy Evening. I had to go to USIS library to get the full poem. It’s a lovely poem. You can get it here. Eye Witness – Movie with Mohan Ram. Absolutely wonderful. Makes one want to go and buy a radio and replace with latest technology! Excellent! Brought back memories of when we used to enjoy listening to our pocket radio which was gifted by our father! Waiting for the next post! Excellent write up Babu. I can never forget the radio of Parma mami. We were having jannal where Padma mami was staying. I used to listen old tamil songs by sittting on that thinnai, bigger one. I remember one incidence when Rajaji or Annadirai died (I am not sure), appa was in Kaveripakkam. He became so emotional and didn’t get up.from that place. Those days Radio was very ckosed to our heart . We miss the Radio so much. Pingback: The Destructive Duo: Part-1 – Biking. Adventure. Nostalgia.